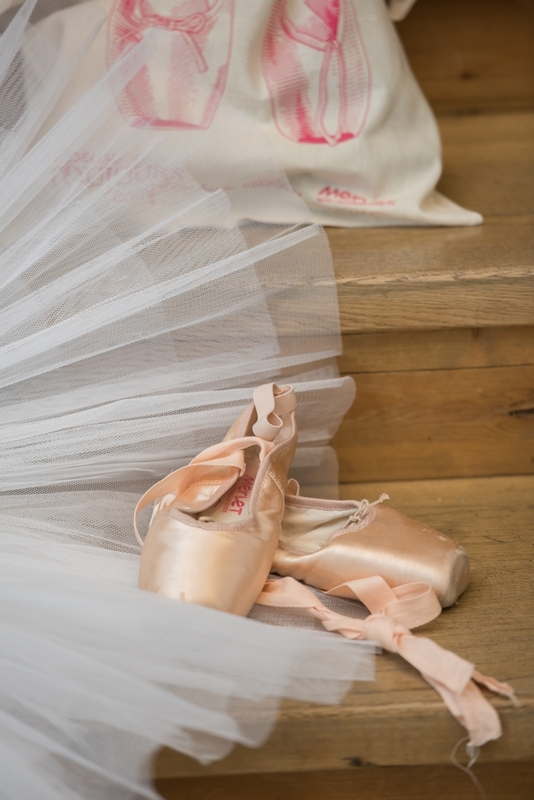 What would our slippers be without our dancers? 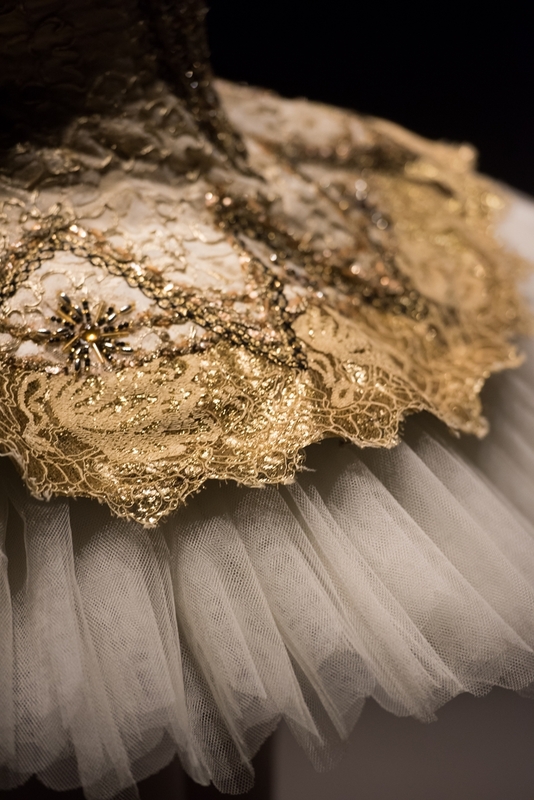 Dance is a living art, worn and sublimated every day by passionate dancers. 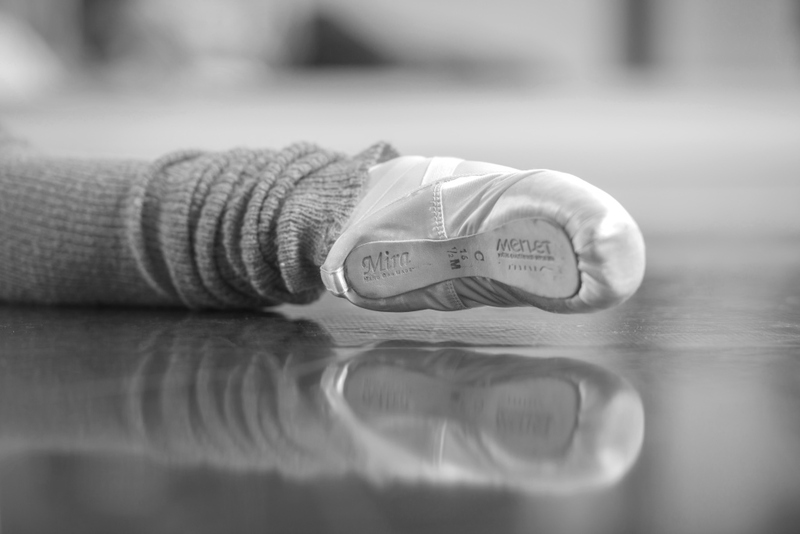 Always looking for authenticity, Merlet collaborates every year with talented dancers and remarkable personality. Discover them below! Perle is from Limoges. She started dancing when she was 4, joined the conservertoire of dance at 6, then took lessons in a private ballet school. 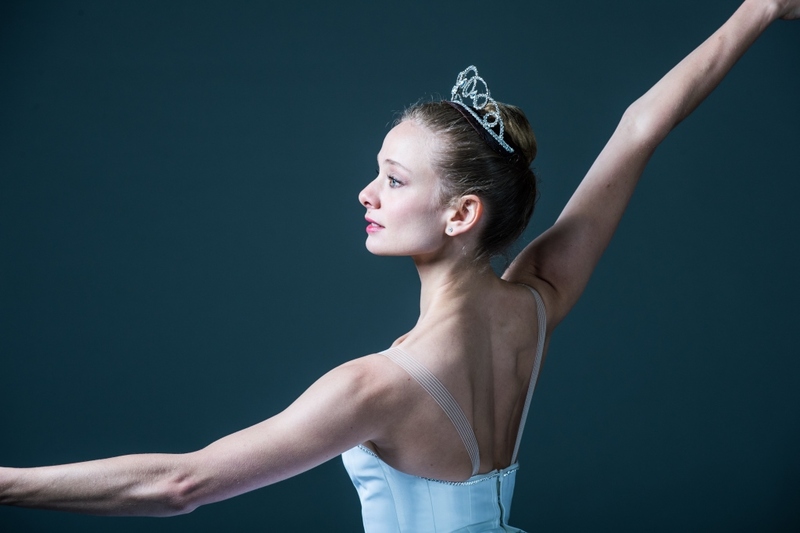 Her work and passion for ballet gives her the right to become a ballet dancer. 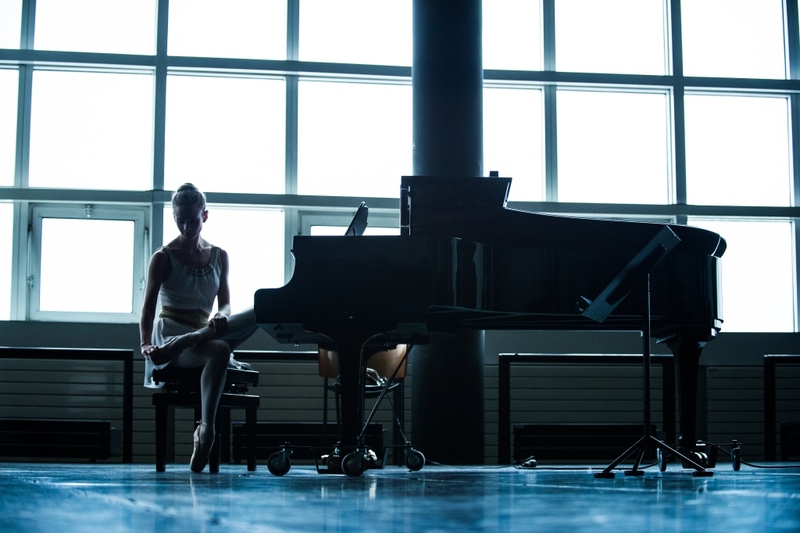 She joined the Paris Opera School in 2009 and passed with success in 4th and 3rd division. 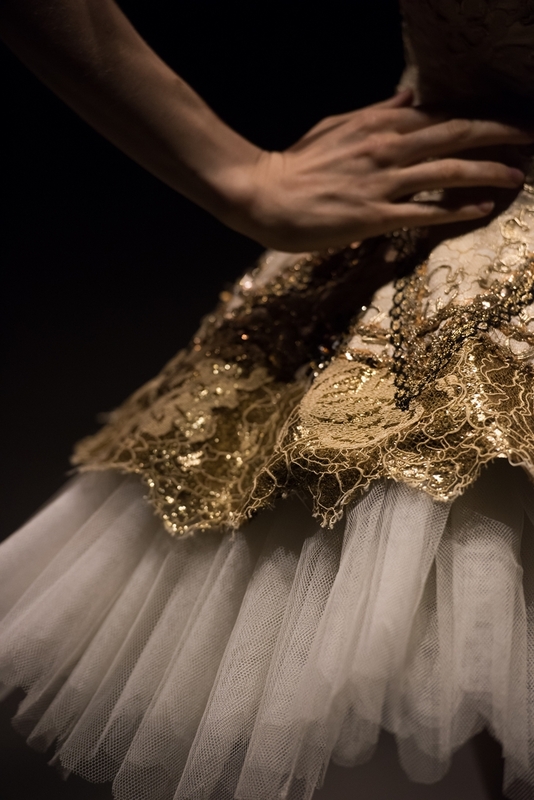 Perle is chosen by Merlet to represent the brand in 2012. Due to her qualities Perle conveys the Merlet values. 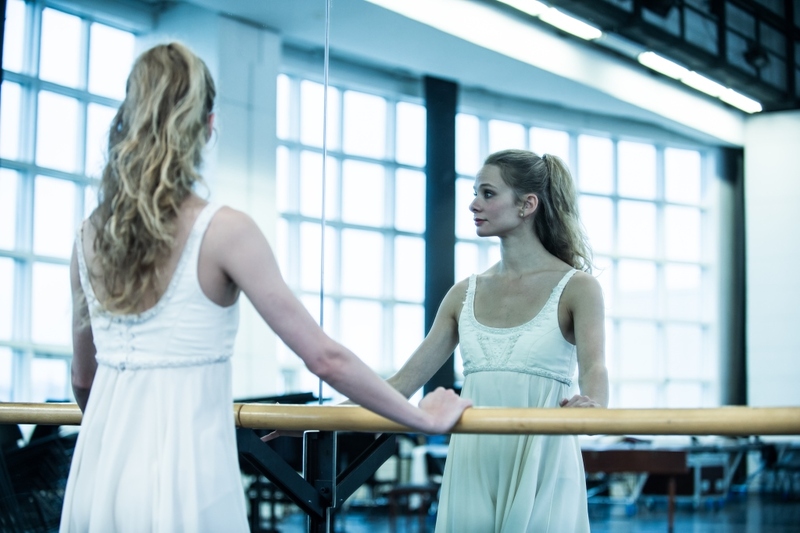 Perle and Merlet are sharing the same ideas of dancing: love and authenticity. 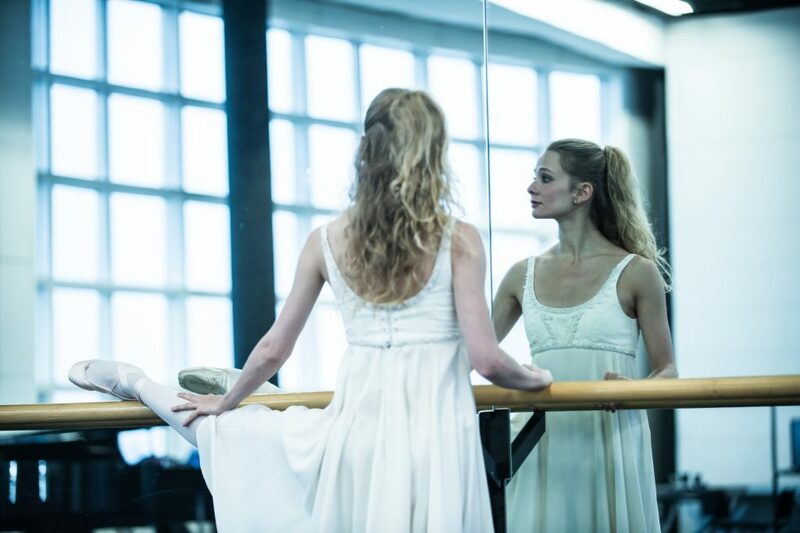 Perle is now in 2nd division at the Paris Opera School where she is making her way. We wish all the best for Perle and hope that one day she will be on of the "étoiles". How did you start dancing ? 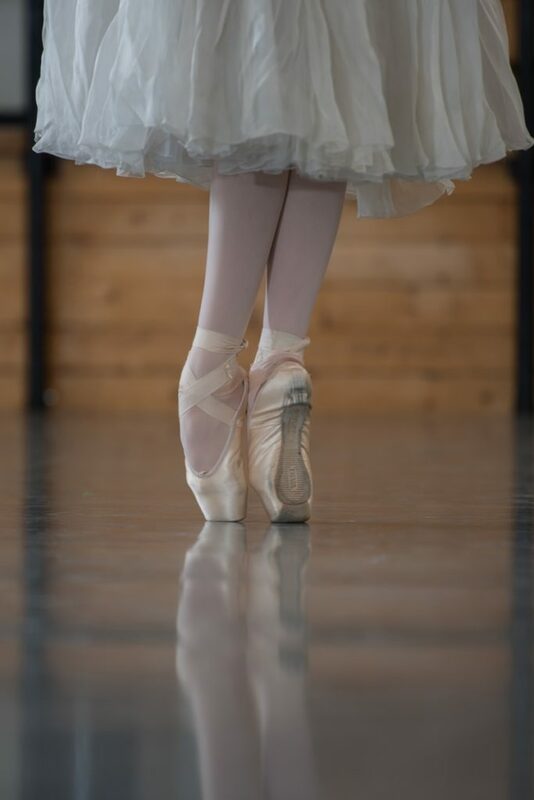 I started dancing when I was 4 in a small ballet school but I really started dancing ballet at 8, in a school near Bordeaux. 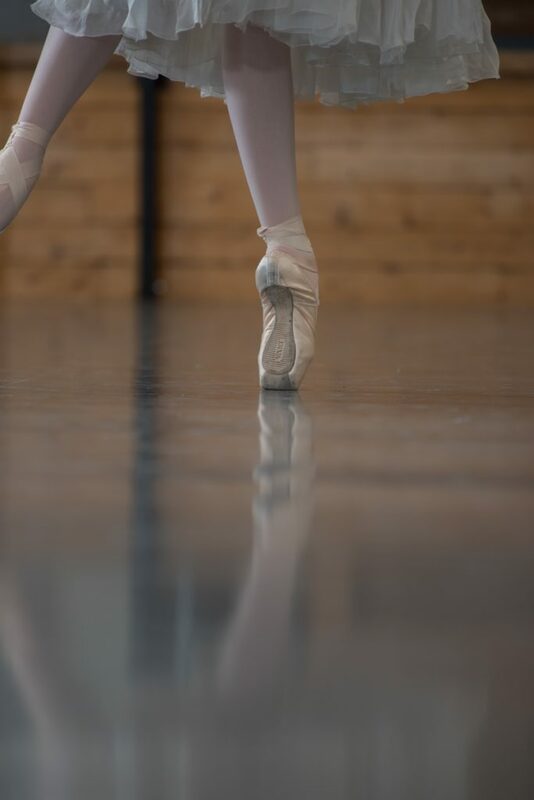 My ballet teacher, Valérie Simonnet, taught me the precision and strictness of this art that brought me to the Ecole Superieure de Danse de Cannes Rosella Hightower. I have discovered contemporary dance and met many teachers from all over the world. 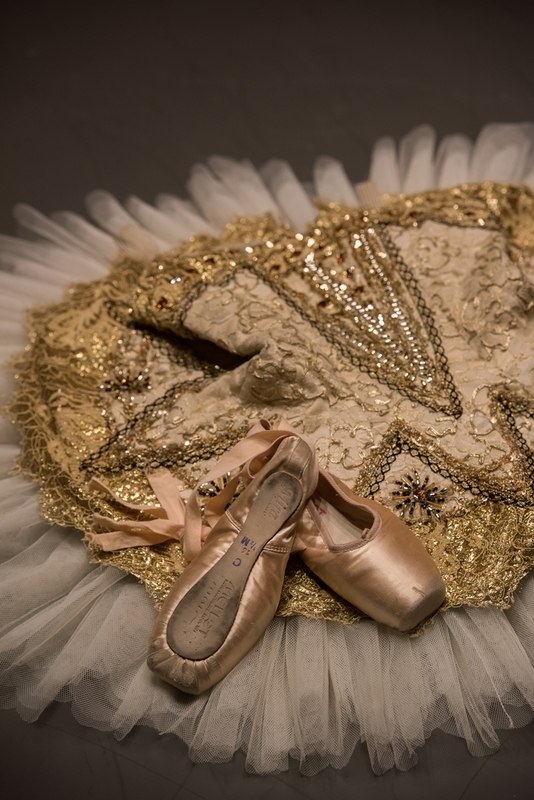 At 12, I failed at the Paris Opera School so I joined a special ballet school nearer to my parents where my teachers Martine Chaumet and Christian Comte taught me the repertoire ballet. Then, I tried again for the Paris Opera School and this time I got in! 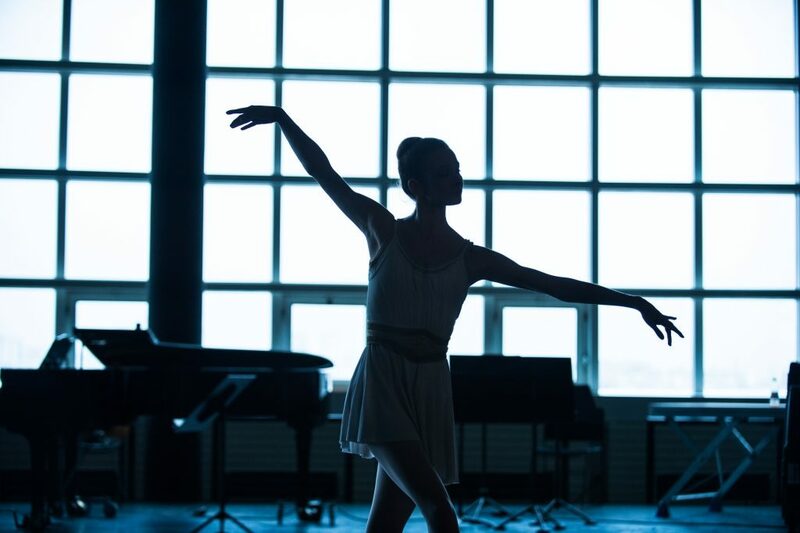 How was your audition to join the Paris Opera School? There are two steps. 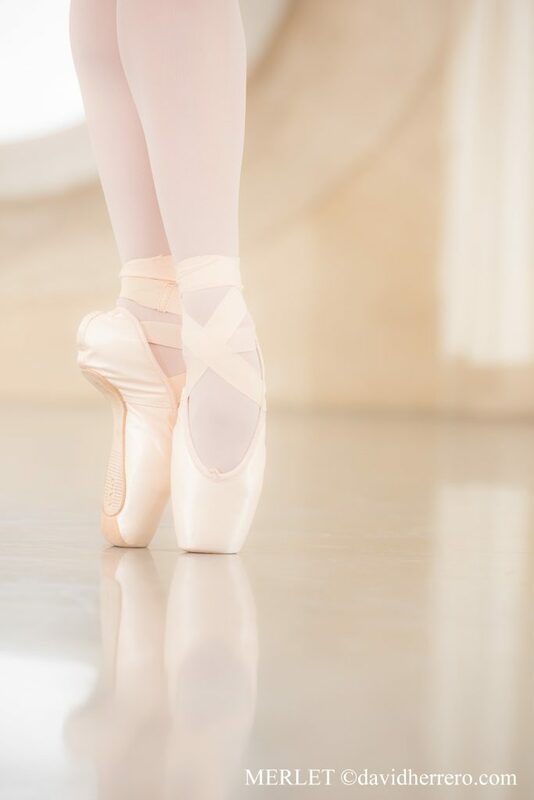 The first step is a physical test, the second step is a ballet lesson. During the second step there were only twenty girls. I was very nervous but the lesson was really nice even if all the dancers mistaken on a jump exercise! Then Mlle Platel announced the results, I was the first one to be called. I was so relieved as it was my last chance. I joined the ballet school in 4th division as an "intern" for a year. What’s a typical day like for you at the School? We wake up at 6.45 am, then we have school from 8.00 am to 12.00 pm. We have 1 hour 30 minutes to have lunch and get then prepared for class. 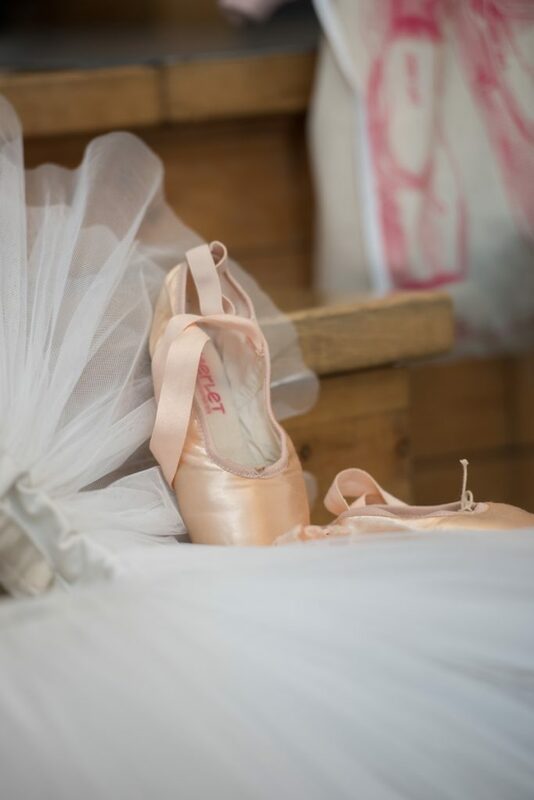 We have a ballet class from 1.30 pm to 3 pm, or from 1.30 pm to 4.30 pm (with a a break of 15 minutes at 3 pm). After our snack, we have special lessons like anatomy, history of dance, theatre, character... until 6.30 pm. We have dinner around 7 pm, then we have to go to bed depending on our ages (last year it was 9.45 pm and this year it's 10 pm). My favourite ballet is Don Quichotte. 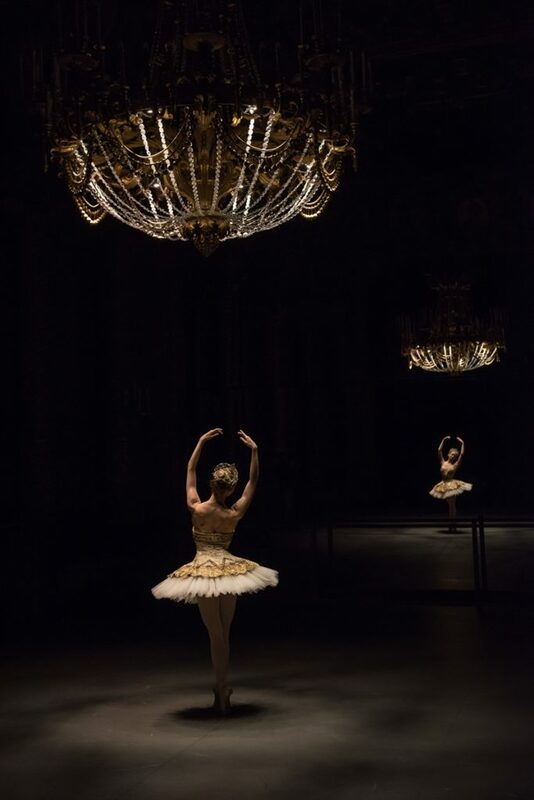 I think that this ballet is a nice mix of technique and art, besides the spanish energy is really lively! I had the chance to see the full dress rehearsal with the school and I was very impressed with the dancers. Who are your favourite dancers? I love the spirit of Dorothée Gilbert and Josua Hoffalt. 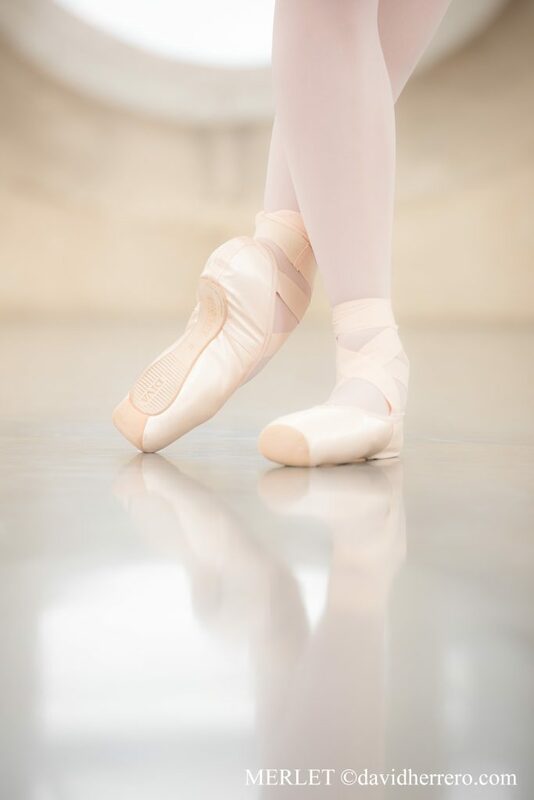 What do you prefer in ballet? I like the way how dancing and music are related and give pleasure to the audience. How do you prepare before going on stage? Generally I rehearse in my head all the choreography and a take a slow breath before enter on stage. 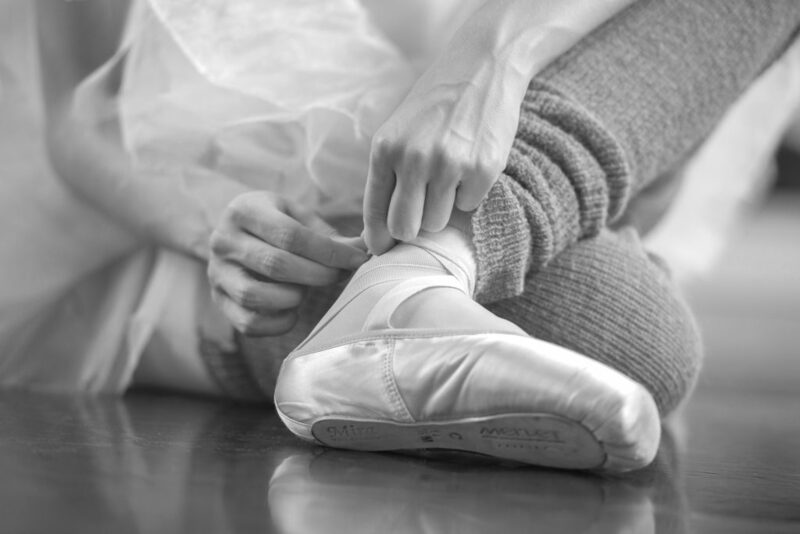 My dreams, of course, is being a ballet dancer at the Paris Opera but I know that is a long way! 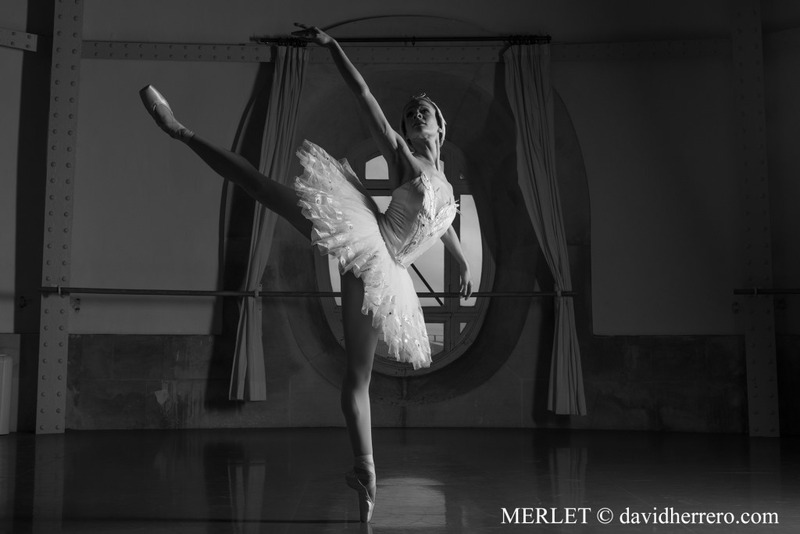 Model for Merlet in 2013, how was the shooting day with the team? Your feelings? What did you prefer? The shooting was like a really show. After a ballet class, I had my make up done and tried the first costume, a wonderful blue tutu! All the team were really nice and I was comfortable with the first photos in the theatre and David, the photographer, made me forget the camera. After a nice lunch, we took some new pictures with new costumes and it became like a game. The day passed very quickly! My best memory was when I went on stage pretending to greet the audience, I had the feeling that I was being applauded. 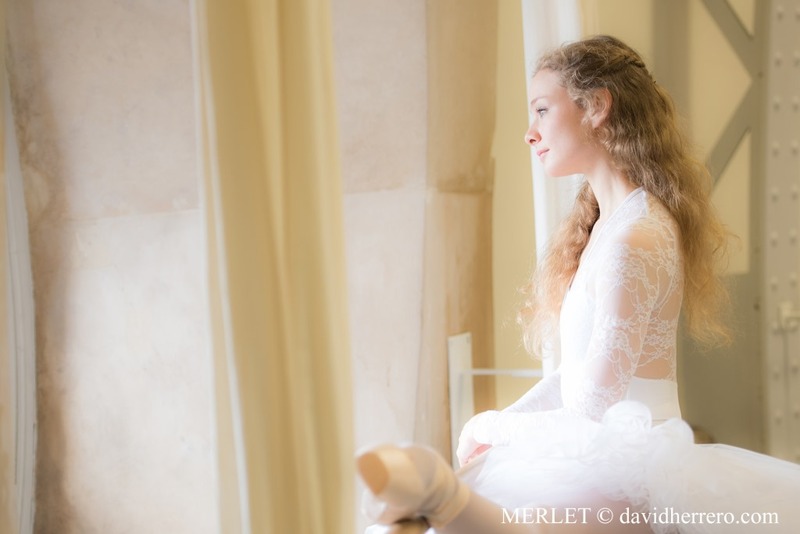 Many thanks to all the Merlet team and to the photographer for this day which was a really nice experience and will give me lovely memories. 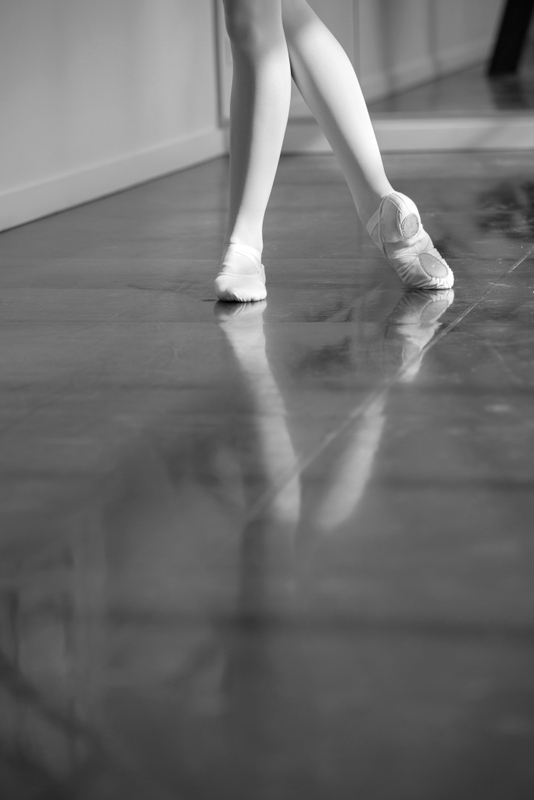 I started dancing at 5 years old at the Marais center Academy and at 8 years old have been to a conservatory in Paris. Then I have been admitted to the CNR (now CRR) and I have started a special schedule dedicated to ballet. I stayed 2 years. At 13 years old I have been accepted to the Paris Opera School in 4th division. 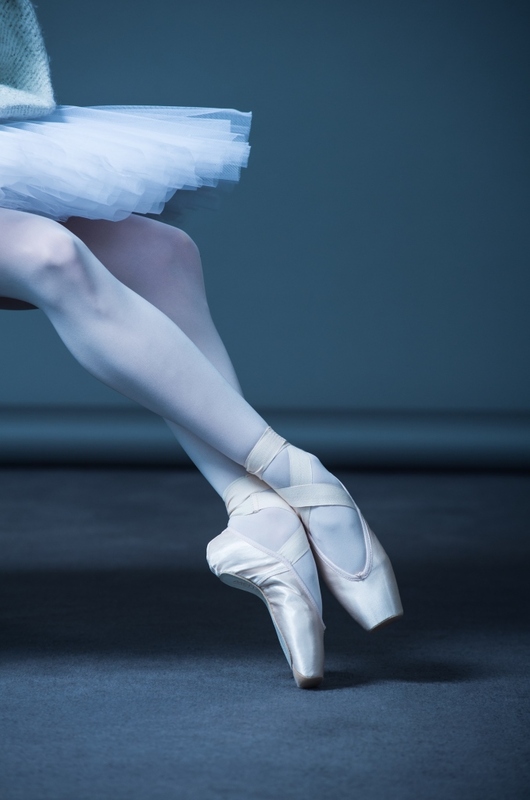 How was the entrance exam at the Ballet School ? Le coThe exam is divided in two parts: The first round is a physical examination. We were by group of four girls. The jury asked for different exercises: the frog (for the turn over), touch the floor (to see the length of our tendons), to walk (to see our coordination). Then we have done “ pliés, dégagés, développés ”. 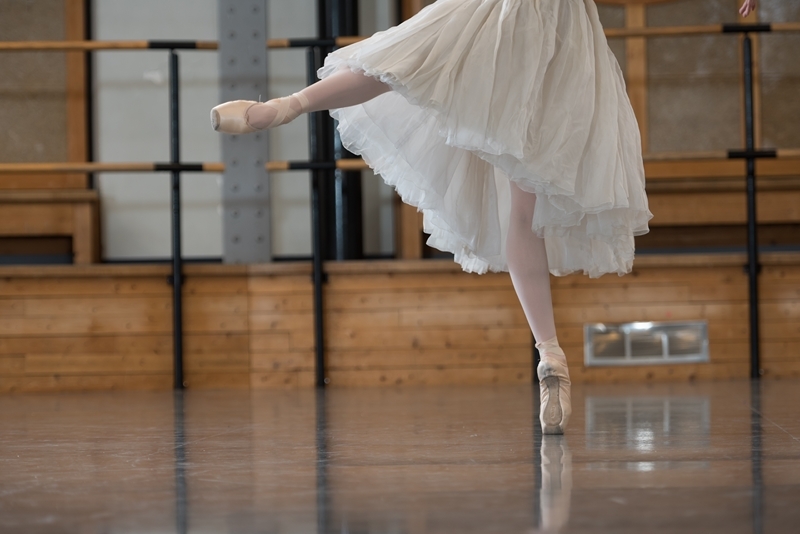 The second round is a ballet class with very simple exercises! 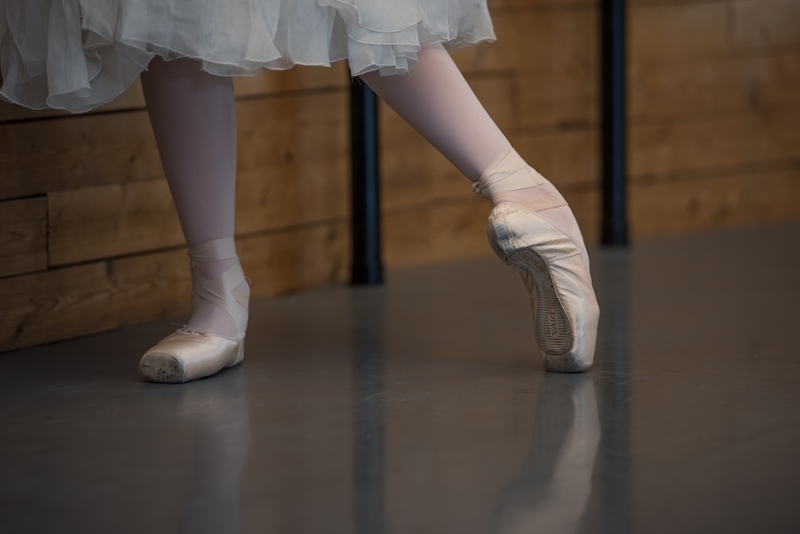 For the bigger classes you have also pointe shoes exercises. What is your daily routine ? I am a day student, I wake up at 6.45 am every day (same hour as the school!). Then I have school from 8am to 12pm. It’s the same programme as the “normal” students. Then we have launch and before class I warm up my entire body. 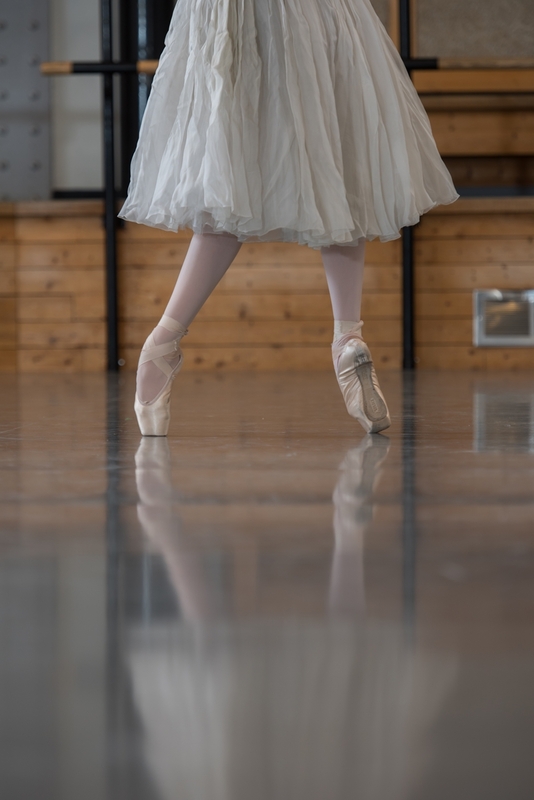 All afternoon we have ballet class and depending on the day different style: jazz, contemporary, history of ballet... We can also have rehearsal, depending on the period we can finish between 4.30 and 6.30 pm. 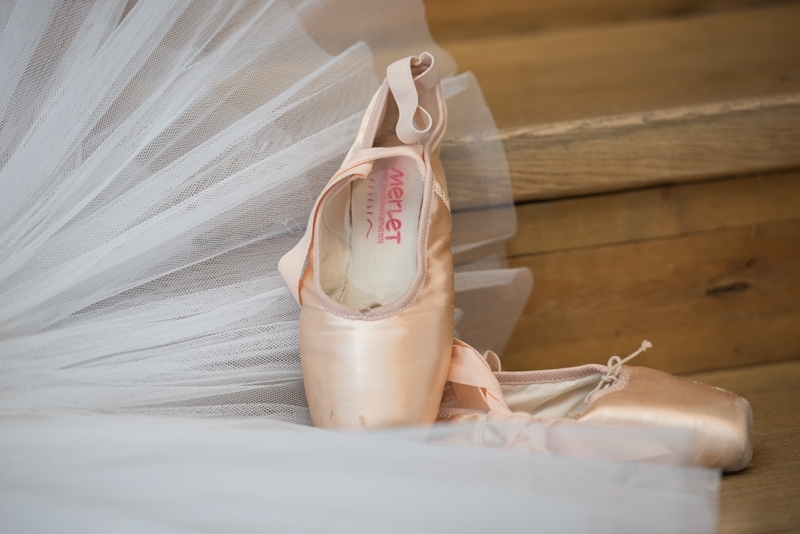 What is your favourite ballet ? Myriam Ould-Braham, Aurélie Dupont, Ève Grinsztajn, Agnès Letestu. José Martinez, Mathieu Ganio, Mathias Heymann. The sensation when you control your body, and of course the stage! 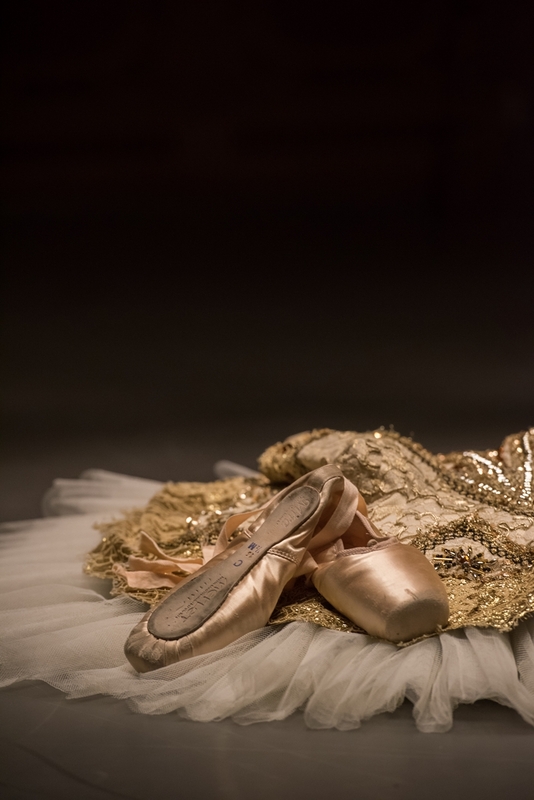 How do you get ready before a performance ? Two hours before the performance, I start to make up and do my hairs. 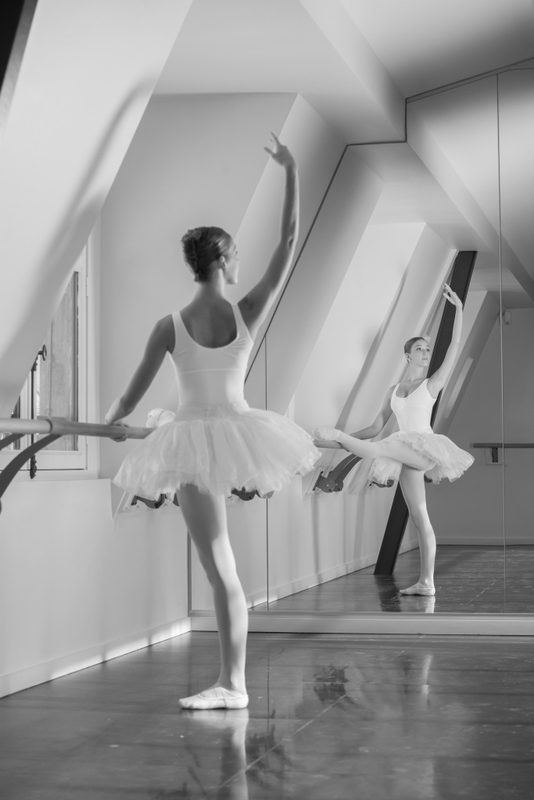 Then I warm up and do usual exercises like I do in class with my teacher: barre and middle! 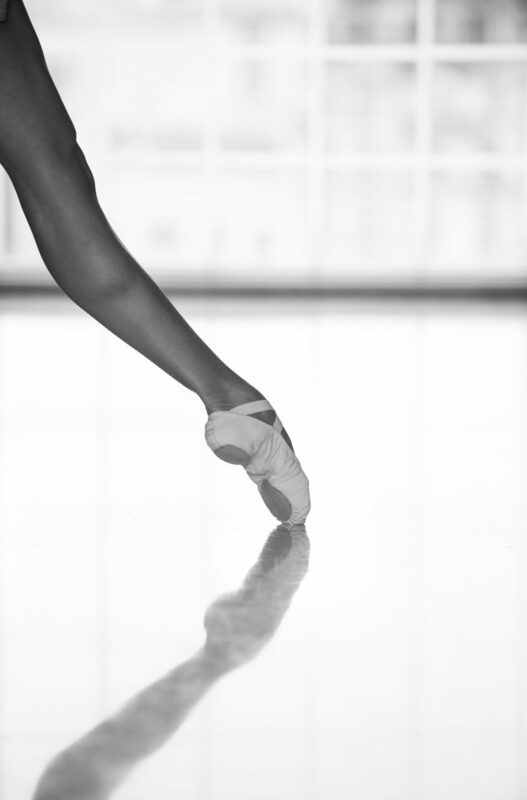 Exercises on pointes are very important to feel my foot. I dress up and work the hard movement of my choreography. Before the stage, I stay calm to control my stress. Which role do you want to dance ? 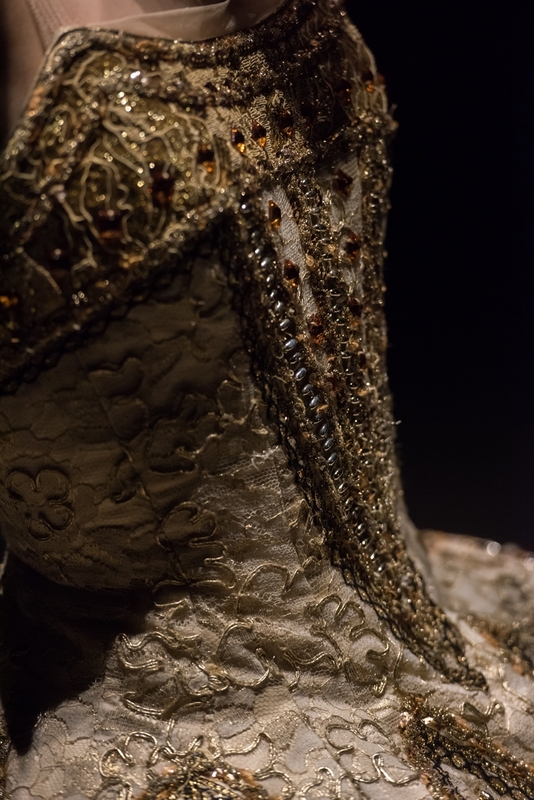 The role of Marguerite Gautier or Manon in "La dame aux camélias"! Keep dancing as long as possible ! Model for Merlet in 2014, how was the shooting day with the team ? Your feelings ? What did you prefer? The shooting day was really nice, it settled in Elephant Paname. We started at 9.00am. After the preparation (make up, hairs and training), we started the shooting photos. We took the photos in 3 different places. We started by the Juliette studio then the Dome area and finally the gallery. The place is absolutely beautiful but my best memory was the Dome, the lights were really nice and the atmosphere is very particular! I was very happy to do these photos! Thank you to all the Merlet team for this day and I hope that the products will satisfy all the customers! 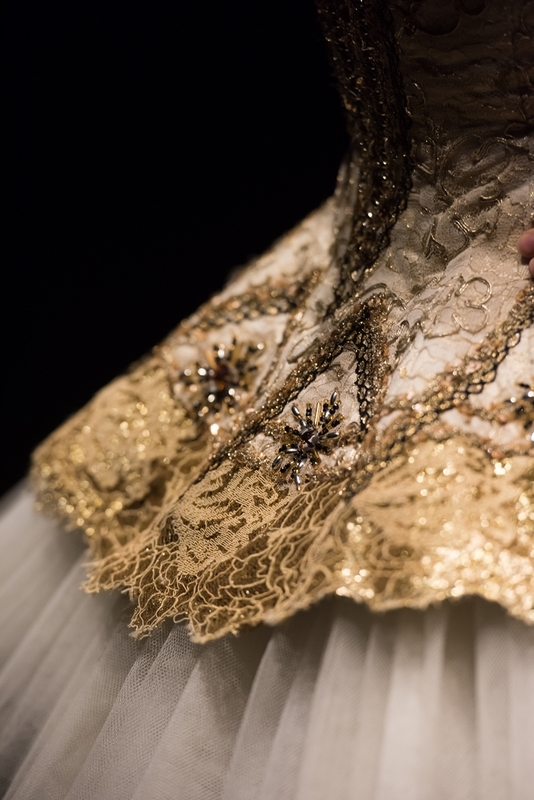 It is an important day for Léonore; tonight she dances the role of Clara in The Nutcracker. She has a long day ahead of her! Getting up at 9am, it is essential for her to have a rich breakfast to get her through the day... muesli, granola, yogurt, fruit and tea are all on the menu. 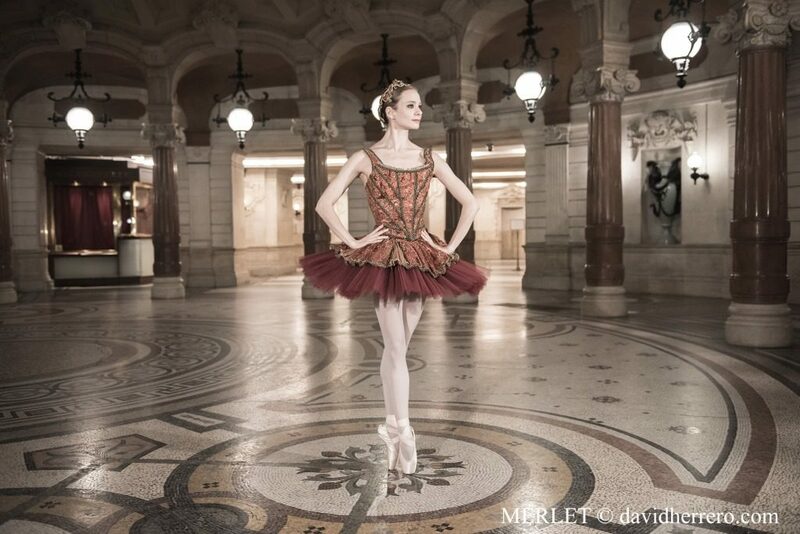 Then to the Palais Garnier where Léonore takes a class at 11am. 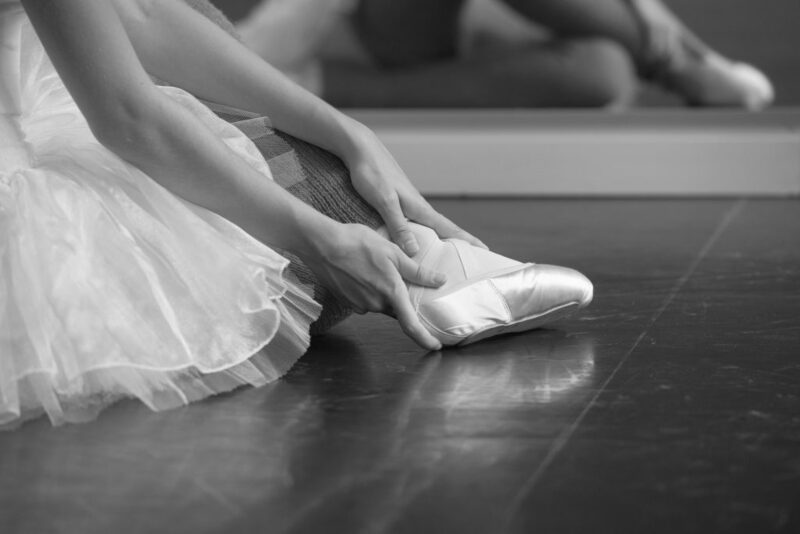 A traditional ritual for the dancer who does barre work every morning. 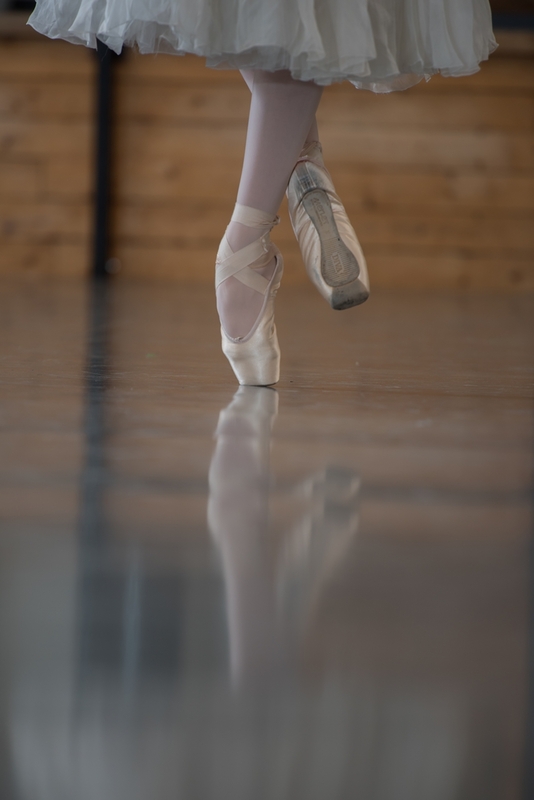 The dancer dresses in a jacket and leggings at the beginning of the barre work to wake up each muscle. 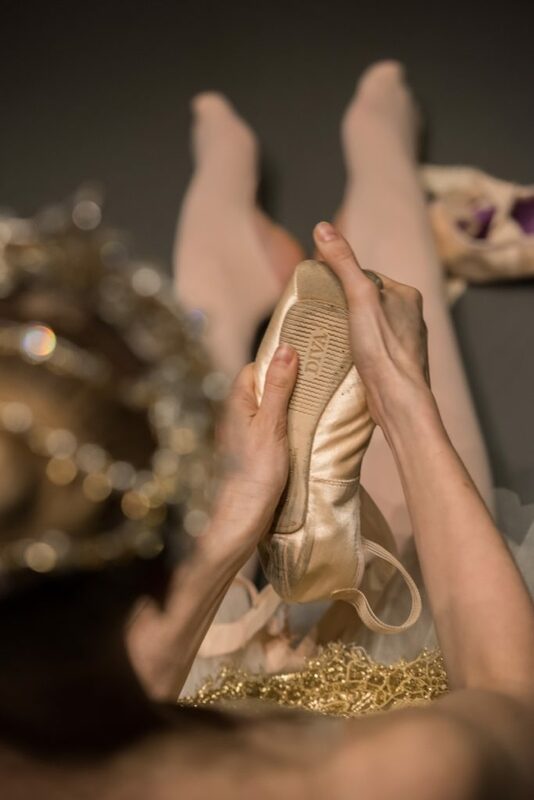 In the middle, Léonore puts her pointe shoes on; this is not compulsory but it is important for her to work on a range* with the pointes. 1 pm : 30 min break. She takes the opportunity to relax, enjoy a massage, send a few messages and go to another studio to begin rehearsals. Today Léonore is working with her partner on the pas de deux from The Nutcracker with the ballet master making any last minute corrections. It seems like everything is technically good, the comments are more about the «performance» of the two young dancers. 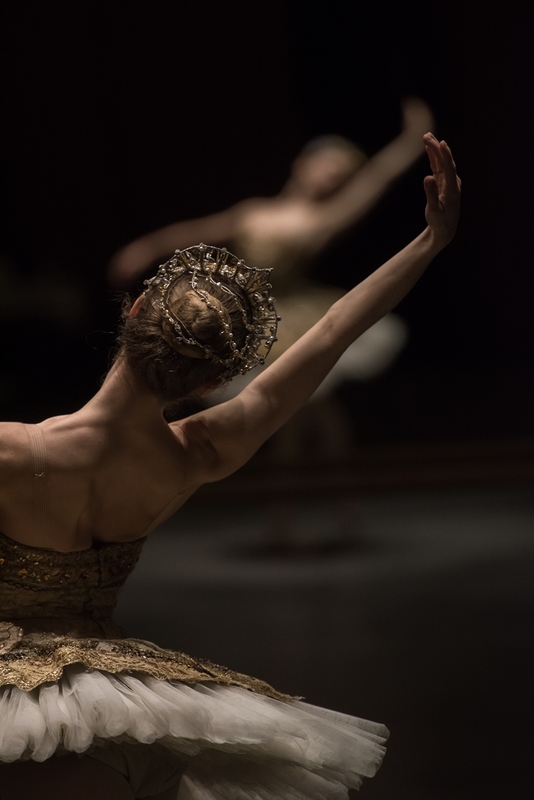 Léonore dances the role of Clara, a young girl who gradually matures and becomes a woman through the ballet. 5:30pm : make-up. Léonore begins to get into character; she continues with the hair stylist. 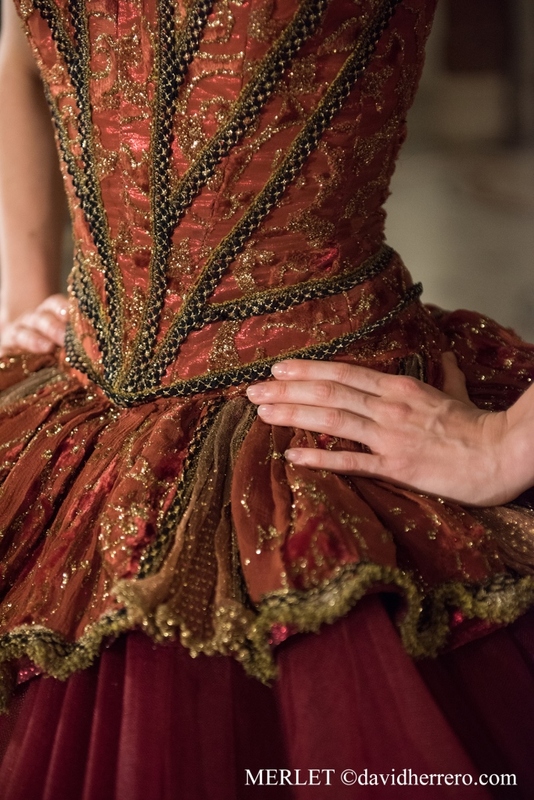 Léonore then spends some time away from her dressing room to prepare: costume, pointes... and heads to the Foyer de la danse... She does a small amount of barre work some stretching, she gets used to the costume and Léonore makes some adjustments with her partner, including on the portés which are quite complicated. «Everybody on stage, performance in 15 minutes», stress levels rises but Léonore keeps her concentration. 7:30pm : the curtain goes up for the 2hrs and 30 min marathon! 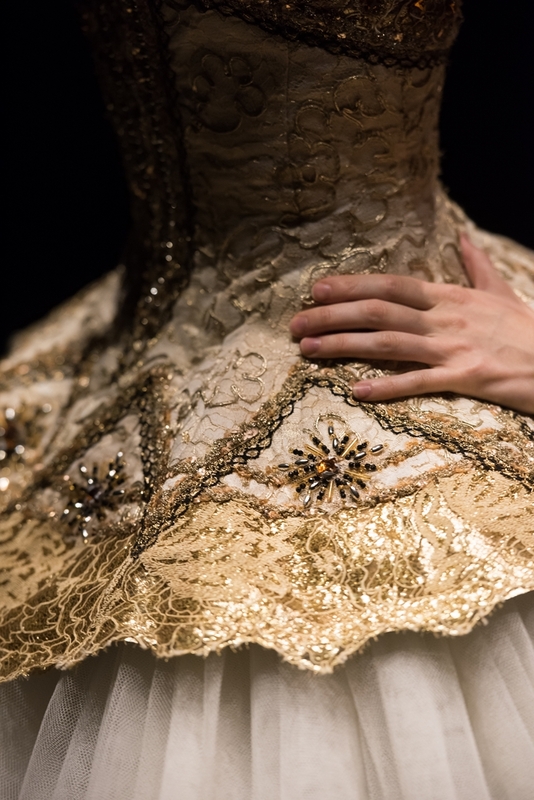 A dream for Léonore who is dancing the Etoile title role for the first time. Interval... Léonore is out of breath but happy with the firstact, she must not lose concentration. She has a small snack to regain energy, a massage is required. The interval only lasts for 20 minutes and then it’s back to the stage. Léonore enjoys these last moments, applause and this indescribable interaction with the audience. The curtain comes down! A beautiful evening and a beautiful start for Léonore... a great memory! Debriefing by ballet master and the director of dance. The dancer returns to her dressing room exhausted but thrilled she could perform. Léonore runs her legs under cold water, «it revives blood circulation», which is important. A shower and make-up removal are the last actions of the day before she goes home. A small meal after a long day and a good night’s sleep... Tomorrow is another day! Léonore began dancing at the age of 4 in a small school in order to contain her boundless energy. At 11 she was a revelation! Léonore won the gold medal in the Caen competition with Jose Martinez on the jury... She wants to be a dancer and she will be! 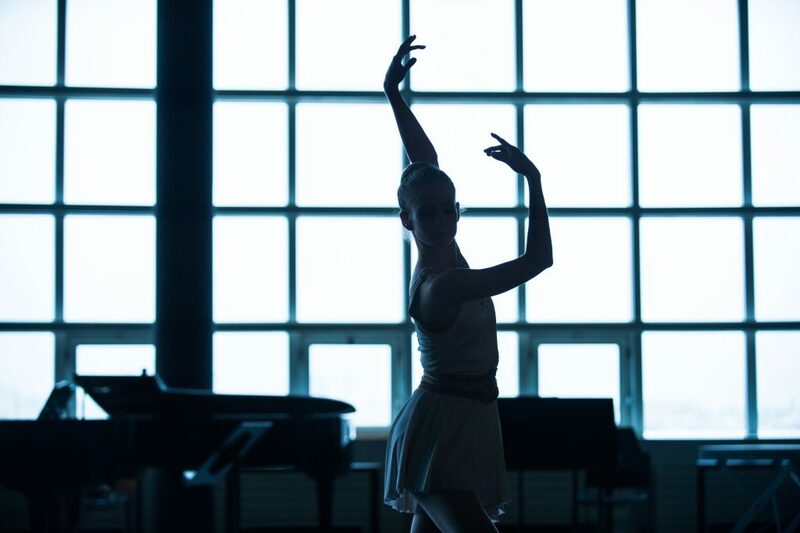 So she took her first classes at the National Superior Conservatory of Paris for Music and Dance and was then admitted to the National Paris Opera Ballet School where she finish her training. In 2008 she joined the corps de ballet at the Paris Opera where she spent four years as Quadrille. A bright future is emerging for our muse!